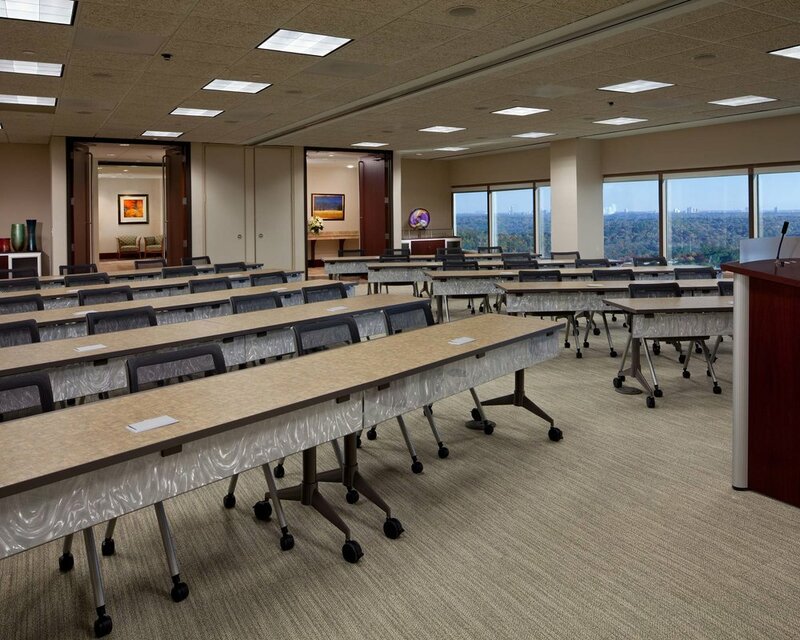 This Atlanta-based specialty litigation law firm, retained NBA to assist them in realizing their potential within their current office space. The firm needed to upgrade and expand its facilities to reflect the core value of being modern, efficient and responsive to the clients’ needs. The overall design and appearance of the space was renovated to reflect a solid and contemporary facility that uses technology to create an efficient working environment. The space was expanded from 16,000 sf on one floor to 31,500 sf on two floors to accommodate expansion. The design included the design of a communicating internal stair. The design includes additional client meeting spaces, sub-dividable training rooms, a mock courtroom and expanded lobby spaces. The phased renovation was completed while the firm maintained continuous operation.